Danish DAT airlines starts flights between Stavanger Airport and Skien Airport Geiteryggen March 7th. 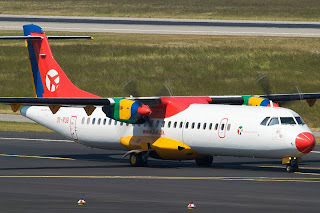 Danish Air Transport is a small air carrier operating from Vamdrup Kolding Airport. DAT has a fleet of 9 planes flying from regional and smaller airports in Denmark and Norway. DAT started flights From Bergen to Skien Airport, February 2011, and has announced that it will start flights from Stavanger Airport March 7th 2011.